Though some people believe self-harming behaviors such as cutting or burning may indicate a person’s desire to die or serve as a precursor to a suicide attempt, not everyone who self-harms has suicidal thoughts or ideation. Many misconceptions surround nonsuicidal self-harm, from demographics affected to possible outcomes of this behavior. Though there may currently be more data available on adolescent girls who self-harm than on any other population, this should not be taken as an indication that adolescent girls are the only individuals who self-harm. People of any age, gender, or ethnicity might be inclined to self-injure. Another common misconception about self-injury is that those who self-harm do so only in order to seek attention. For some people, self-injury may indeed be a method of asking for help, but for others, actions like cutting or burning might be a way to relieve stress or cope with anxiety-inducing situations. Others report self-harming behaviors help them stop dissociating, or feeling numb or disconnected from life. Self-harming behavior might also be related to another mental health concern such as posttraumatic stress, borderline personality, bipolar, or depression. When a person receives treatment for the mental health concern, the desire to self-harm may decrease as well-being improves. If you or someone who know is self-harming, whatever the cause and whether suicidal thought or intent is present or not, it is very important to seek help for yourself or the person you care about immediately. Please visit our crisis resources page for more information about finding the right help. 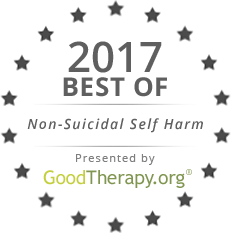 If you would like to learn more about non-suicidal self-injury and find related information and resources, GoodTherapy.org has collected several resources that address non-suicidal self harm. Keep reading for our top websites and organizations discussing self-harm in 2017. Cornell Research Program on Self-Injury and Recovery (CRPSIR): Launched in 2003, CRPSIR was developed to translate research into user-friendly resources. It contains a variety of resources for anyone who needs help with or wants to learn more about self-injury. Visitors to the site can find information on prevention and treatment of self-harm, as well as links to media resources, information on recovery and support, common myths about self-harm, and fact sheets. It also offers links to training programs for youth-serving providers and parents of youth who self-injure. Self-injury Outreach and Support: This nonprofit organization that was established to promote education about self-injury. It provides resources for people who want to get help for self-harm and those already in recovery and also offers school professionals information about helping students. SOS also provides detailed information for loved ones who want to support someone they know, coping strategies for people who have the urge to self-harm, and personal stories of people who have been affected by self-harm. To Write Love On Her Arms: This nonprofit began with the founder’s desire to help a friend enter recovery for depression, addiction, self-harm, and suicidal ideation. Visitors to the site, which offers hope for many seeking help with self-harm, can read the founder’s story, access helpful resources for self-harm issues as well as other mental health conditions, and read messages of inspiration and support. The goal of the movement is to encourage people that a better life is possible and their story is not over. S.A.F.E. Alternatives: Since 1986, S.A.F.E. Alternatives has worked to promote self-harm treatment that emphasizes self-efficacy in the individual. The website provides research and news articles on self-harm, as well as intervention tips for concerned family and friends. Visitors to the site can also apply to support groups and outpatient programs through the digital portal. RecoverYourLife.com: Recover Your Life is one of the largest internet support communities for self-harm. It offers forums, live chat rooms, and a monthly e-zine. Recover Your Life maintains a non-judgmental atmosphere, emphasizing advice and sympathy over stigmatization. Self Injury Support: Though this charity, based in Bristol, primarily directs their support to women and girls who injure themselves or are otherwise affected by self-harm, it also works to increase awareness of self-harm and other mental health concerns. The online library offers publications and research reports about self-harm. Visitors to the site can also download worksheets and exercise booklets. Self Injury Support also offers a confidential hotline and email support to people in the UK. 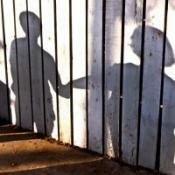 SelfharmUK: This website seeks to lower the incidence of self-harm in teens. Young people can read blog entries from other young adults and join a free chat room several times a week and explore their concerns with a counselor. Professionals can access training and workbooks, and concerned parents can seek education about self-harm through fact sheets, an advice blog, and a community forum. Cutting and Self-Harm: Cry for Attention or Something More?